If you catch yourself searching online, "skydiving near me," you should know how your parachute works. After all, plummeting to the earth is amazing, but only if you're going to be saved in the end. 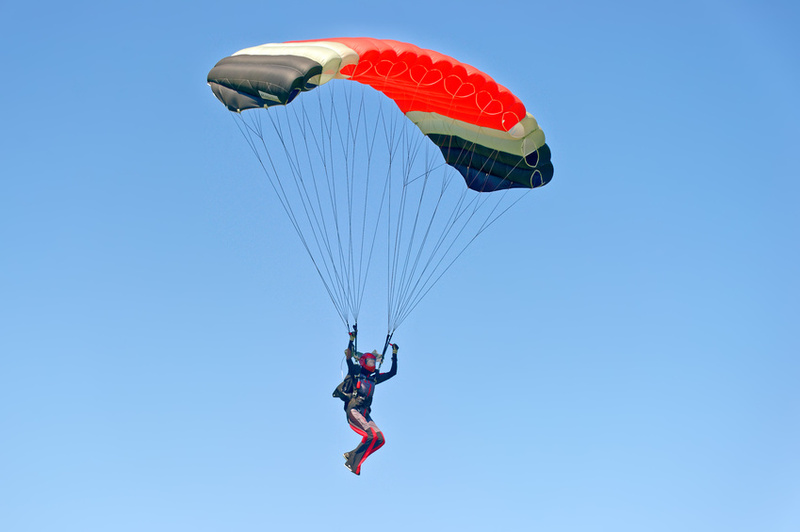 Here are the ways you parachute works to make your first tandem jump the time of your life. What comes up must come down: the number one factor that affects your parachute's success is earth's gravitational pull. As you jump out of airplane and pull the parachute ripcord, the friction from the air, known as air resistance, will catch in the parachute, slowing it down. The friction in the air comes from the gas molecules present in the earth's atmosphere. Think about driving with your hand out the window; the "wind" you're feeling is actually thanks to your hand's rapid movement through the air, disrupting the molecules and causing your hand to move backward. Your parachute is made from a strong nylon fabric designed to slow your descent toward the earth by creating drag. Parachutes are so large because they need ample surface area to slow down more quickly. When your hand is outside of a moving car, you might also notice that your hand feels more resistance when your palm faces forward than when it's pointed at the ground. This is because the air is struggling against more surface area. The same principle applies to your parachute. In a tandem jump, your skydiving instructor will pull the ripcord after you've reached 2,500 feet. Once it is pulled, a pilot chute releases the main parachute, but in a tandem parachute jump, a drogue chute will be used to regulate how quickly you fall. Your instructor at your local "skydiving near me" location will also have a reserve parachute in the event the main one fails to deploy. Why is there a hole at the top of the chute? The circular hole at the top of the parachute allows some of the air to escape as you fall. If it weren't there, then the parachute would rock wildly as air leaks out the sides. Before your first skydiving experience, your instructor will give you a brief rundown regarding the important safety precautions of your jump. Understanding how your parachute works is just the first step of the process.